So the topic of our study last week was women in leadership. There is a lot of debate regarding the issue of whether or not women should be aloud to participate in the leadership of churches. Women have traditionally been relegated to the duties of watching the children, taking care of the refreshments and if the church is really progressive they might even be allowed to lead a women’s Bible study. Seminary’s within the last ten years have experienced a substantial increase in enrollment from women. This clearly shows that women are aspiring to do more than bake cookies and wipe noses in the church. While these are all very important things, but are women capable of doing more? Does the Bible allow for more? Is the Evangelical church ready for more from women? I think they are. Currently there are a number of prominent women leaders in the church. 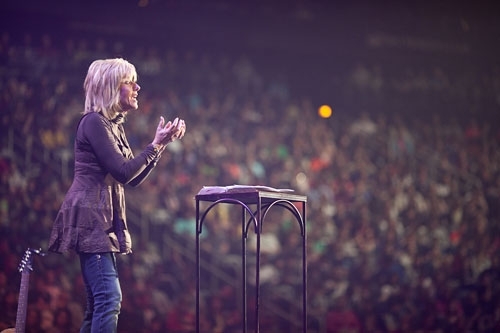 Women like Beth Moore, Kay Arthur and Priscilla Shirer. Are they being unbiblical by sharing the gift that God has given them with the world? Some would say yes, some would say no. Those that would say yes typically use this scripture to support their case. I’ve heard so much controversy about this passage that I don’t know what to think. The primary argument is that it was written to a specific group of individuals that were experiencing consistent disruptions in the synagogue. Therefore it doesn’t apply to all women in the church universal. Regardless, this is but one verse against women that we find in the midst of many verses supporting women in ministry. Here are a few examples. 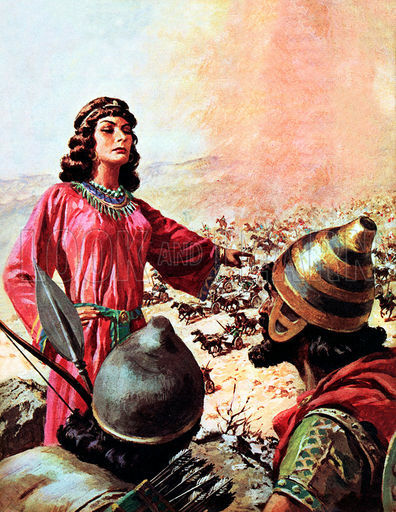 Anna – The prohetess Anna is mentioned in Luke 2 as one who ministered in the temple. She was said to never leave and in fact spoke to “all those who were looking for the redemption of Jerusalem.” (Luke 2:38). That sounds like a pretty prominent place in leadership to me. Let me conclude with a verse from Galatians 3:27-28? This seems to be consistent with what we see in the garden of eden. God made us in His own image, both male and female. I’m not quite sure where I stand in all of this. I tend to lean more toward supporting women in leadership than not, but at the same time, I believe that there are some specific roles for women in the church that I didn’t even get into here. We’re still fleshing this out in our community group.